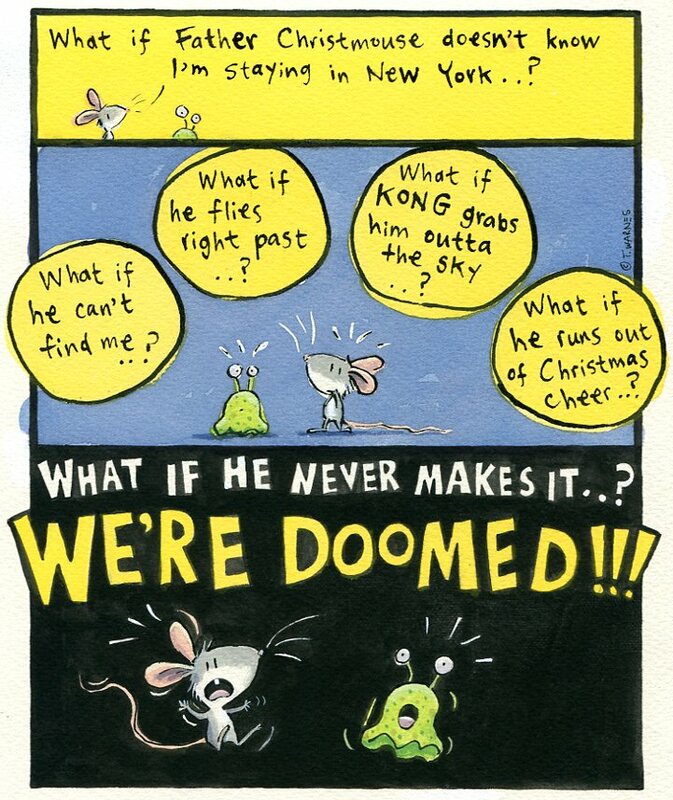 Chalk & Cheese Comics: What if..? If you enjoy Chalk & Cheese, please take a moment to nominate it for the Washington Post's Best Webcomics of 2011 award. Simply email comicriffs@washpost.com (subject line: Best Webcomic 2011; message: Chalkandcheesecomics.com by Tim Warnes). ha ha, great to see some emotional insight into the blobby Bloggy! Thanks for taking the time to nominate C&C, Caren. I really appreciate it. Hi, Sue - I love drawing Bloggy, making him look horrified was particularly satisfying! I've toyed with the idea of giving him a voice, but at the moment have ruled it out. I'm hoping to be able to get him to speak for himself through the pictures.